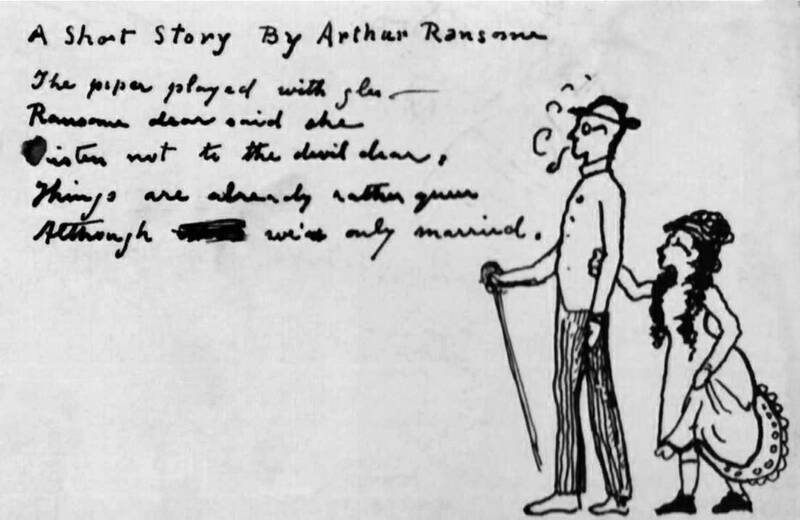 Arthur Mitchell Ransome (1884-1967) was an English author and journalist, best known for writing the Swallows and Amazons series of children's books. These tell of school-holiday adventures of children, mostly in the Lake District and the Norfolk Broads. Many of the books involve sailing, fishing, camping and other common subjects of interest to boys. The books remain so popular that they provide a basis for a whole tourist industry around Windermere and Coniston Water — the two lakes that Ransome used as the basis for his fictional North Country lake. As a young man he also wrote about the literary life of London; a few years later he wrote about life in Russia just before, during, and after the March and October Revolutions of 1917. Some years after his death, information was revealed that he had worked as a spy for the British Secret Intelligence Service (SIS, aka MI6) while working as a journalist in Soviet Russia. "We set off together down the Fulham Road, in the most beautiful light of a summer evening. ... At last we turned to the right, between houses with narrow gardens and little trees in front of them, and then to the right again, till we stopped at the end of a short street. " Her name is Gypsy," he said dramatically. "No one ever calls her anything else." Then he swung open the garden gate, walked up the steps of the house, and knocked vigorously on the door. ... Someone broke off in a song inside, and quick steps shuffled in the passage. The door was flung open, and we saw a little round woman, scarcely more than a girl, standing in the threshold. She looked as if she had been the same age all her life, and would be so to the end. She was dressed in an orange-coloured coat that hung loose over a green skirt, with black tassels sewn all over the orange silk, like the frills on a red Indian's trousers. She welcomed us with a little shriek. It was the oddest, most uncanny little shriek, half laugh, half exclamation. It made me very shy. It was obviously an affectation, and yet seemed just the right manner of welcome from the strange little creature, " goddaughter of a witch and sister to a fairy," who uttered it. She was very dark, and not thin, and when she smiled, with a smile that was peculiarly infectious, her twinkling gypsy eyes seemed to vanish altogether. ... "Come in!" she cried, and went shuffling down the passage in that heavy parti-coloured dress. No other is zo gay.
" ... After that she chanted in a monotone one of the poems from Mr. Yeats's " Wind Among the Reeds: "
And hooked a berry to a thread." And we may never see you, fair ladies, again.
" ... Presently the American girl [Peggy Cole, wife of American painter Alphaeus Cole] begged for a story. Gypsy had spent some part of her life in the Indies, and knew a number of the old folk tales, of Annansee the spider, another Brer Rabbit in his cunning and shrewdness, and Chim Chim the little bird, and the singing turtle, and the Obeah Woman, who was a witch, "wid wrinkles deep as ditches on her brown face." She told them in the old dialect, in a manner of her own. Fastening a strip of ruddy tow about her head, so that it mingled with her own black hair, she flopped down on the floor, behind a couple of lighted candles, and, after a little introductory song that she had learned from a Jamaican nurse, told story after story, illustrating them with the help of wooden toys that she had made herself. She told them with such precision of phrasing that those who came often to listen soon had them by heart, and would interrupt her like children when, in a single word, she went astray. To hear her was to be carried back to the primitive days of story-telling, and to understand, a little, how it was that the stories of the old minstrels were handed on from man to man with so little change upon the way. "That was my first evening of friendliness in Chelsea. ... "
Ransome became a big fan of Pixie Smith's story telling and was a regular visitor to her weekly parties; his name appears frequently in Smith's Visitors Book, which she kept to provide a record of the attendance at her parties. The pictorial entry shown at the right was sketched in the book by Ransome during a visit in 1904. The "short story" is rather fanciful as he did not marry (to Ivy Constance Walker) until 1909. This Visitors Book was acquired by the noted Tarot Deck collector and founder of U.S. Games Systems, Inc. of Stamford, Connecticut, Stuart R. Kaplan. He has stated that the book is more than 150 pages in length and spans the 1901-1905 time frame. Among the well known artists who attended her weekly parties were: Irish poet William Butler Yeats (1865-1939); his brother and writer John "Jack" Butler Yeats (1871-1957); English composer Martin Edward Fallas Shaw (1875-1958); Japanese writer and illustrator Yoshio Markino (1869-1956); lesbian writer Christopher St. John whose real name was Christabel Marshall (1873-1060); Scottish novelist and playwright Sir James Matthew Barrie (1860-1937), the creator of Peter Pan; American artist Alphaeus Philemon Cole (1876-1988) and his wife Margaret "Peggy" Cole (died 1961); and the English poet John Masefield (1878-1967), the Poet Laureate of the United Kingdom from 1932 until 1967. References: 1) Stuart R. Kaplan, The Artwork and Times of Pamela Colman Smith (2009), pages 68-72. 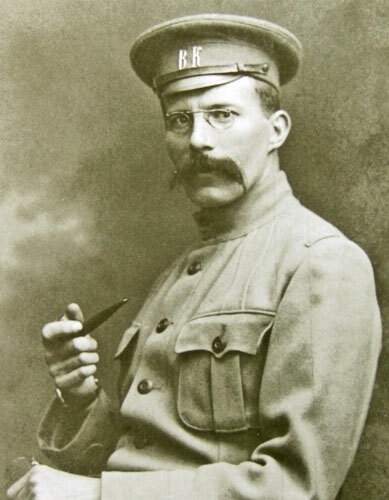 2) Arthur Ransome, Bohemia in London (1907), chapter entitled "A Chelsea Evening," pages 55-64.